**How we care for our art features.(70). Sadly Louise Slater born – 11/2/1956- she died 1/5/1999. The original feature -1993 to 2010. 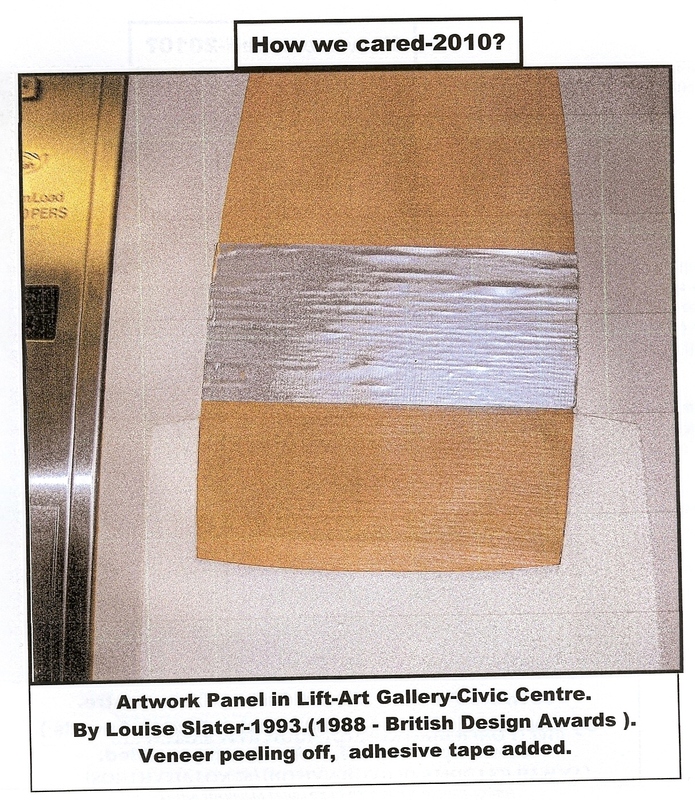 Louise Slater’s Lift Art Decor suffered from deterioration. The veneered section peeling off. 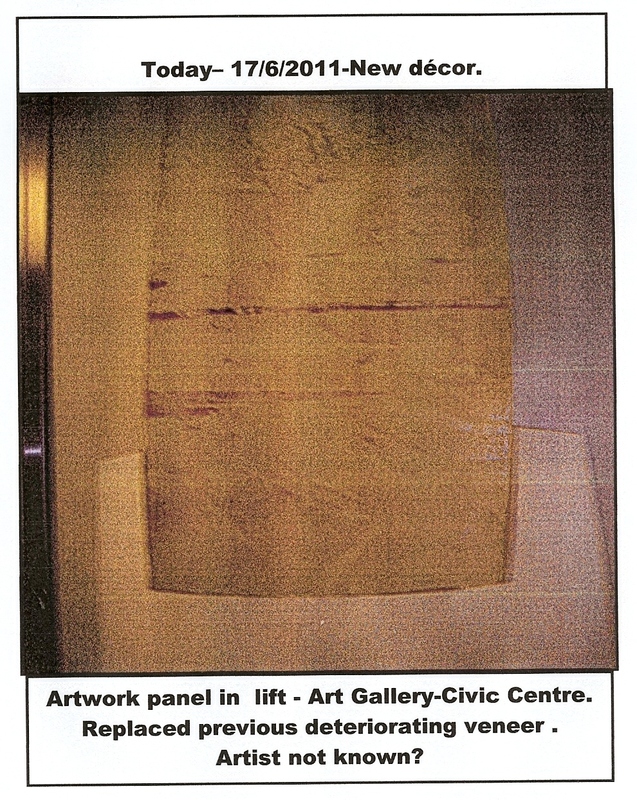 Removing the applied tape would remove the veneer beneath. Not surprisingly- over 18 years since when created. When you approach the Art Gallery Lift, above which is the Memorial Feature to those who died in the Civic Centre in the Blitz, the area is frequently used to stack equipment-rather sad?.